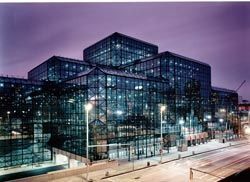 The annual AES Convention will take place in New York City's Javits Convention Center over the Columbus Day weekend.NEW YORK, NY-This year's AES Convention will feature a rich array of educational programs, technical sessions, and live sound events from various manufacturers and industry experts. AES executive director Roger Furness explained the new addition to the education programs this year. "In addition to long-established Career Workshop, Recording, and Design Competitions, a 2nd annual Technical Paper Competition and an information-packed Education Fair, this year will mark the introduction of an All Star Education Forum Panel. Student attendees will have access to unprecedented career-building insights provided by some of the most astute, connected and accessible members of the professional audio community." The live sound events at the convention will include a three-hour HOW event to open the show, a white space status report, a Church & House Of Worship Audio & Acoustics session, Concert Sound System Design, Setup & Operation, and the Creative Use Of Digital Mixing Technology. Other programs include Large Scale Multi-Channel, Multi-System Wireless Design, Deployment and Operation, Musicals From Broadway to Las Vegas, an interview with Abe Jacob, and a Sound System Alignment & Acoustic Measurement panel moderated by Sam Berkow, SIA Acoustics. "The Committee has developed a far-ranging and extremely contemporary program. Workshops, papers, tutorials, technical tours, platinum, broadcast, live sound, student, historical, and special events have all been focused on informing and inspiring our attendees," said Furness. To aid attendees in optimizing the pre-planning of their visits, the AES has posted a detailed preliminary calendar of events, which is available at www.aes.org.